The only way to fight against an ever more alienated world is to live fully. Breathe in fresh air and live with commitment and devotion to what you believe in. The trouble so many of us have is in discovering what it is we really believe in. Is it security? An exciting job? Experiential experiences of travel and consumption? Is it love? You must discover that for yourself along the way. But I will tell a little secret - it is the people that matter most of all. All of everything in life affords us learning experiences, and in that regard nothing is a wasted experience. But I will maintain that I've made some mistakes. This blog is not one of them, but it chronicles some of the moments I've experienced including some of those mistakes. At this moment in my life I have the clearest mind I think I've ever had. There is a new and yet familiar world out there for me. Everything is about to change and yet revert back to a state of familiarity as though the world has rediscovered its genesis. As though I rediscovered my humanity. In the years that I've written in this blog, I have noticed many changes in myself. I have a growing comfort in writing about uncomfortable things. I have found that I have made true connections in my life that challenged my beliefs about the kind of loneliness I would be destined to suffer through my life. I have found comfort in solitude. I have found comfort in friends. I have found ways to challenge myself, and so have my friends. I want to take apart the over-used phrases that "life is a journey" and "it isn't the destination that matters, but the path you take to get there." Living in the "now" and enjoying life as it is happening is good advice, but I think that it is often misunderstood. Life cannot be enjoyed unless you are moving toward something. Life is a creative act. To give life meaning, choices must be made. Not just choices, but commitments. Commitments have values based on how big the commitments are. For instance, for someone trying to lose weight, each 20-minute workout session that is completed is an important commitment, however short-term is. But the question arises, why are you losing weight? If you're committed toward life-long health, then this small commitment is quite important and meaningful in a larger picture. And this is the key. Commitments in life work with each other. Commitments, along with their actions, determines what has value more than words alone ever could. So value is a matter of choice. Obsessing about cars makes cars valuable to you. Making sure to donate money to worth causes, makes those causes valuable. But only when done with conscious volition. If you accidentally or incidentally save someone's life, you aren't showing that you care for that person's life. Intention matters, but so does ineptitude. Make sure you choose your values carefully, or they will choose you. I've given a lot of thought to my values, and I feel no need to share them here in great detail. But I will say this: they are surprisingly simple and straight-forward. Life isn't actually all that complicated, even when it seems most to be. 1) My life has changed dramatically since starting this blog, and the general theme doesn't fit my views anymore. 2) I am at a crossroads for great change in my life now, and I'd like to start this new beginning properly with a new blog. 3) I'd like my next blog to be organized better and to have a better domain name. 4) I'd like to catalogue my future posts better and make them more searchable by type. In my next blog, I want to write about love and beauty. I want to write more about connection. I want to write about the meaning of sexuality. I want to write more about family and what family means. I've grown tired of wandering the mazes of postmodernity and the holographic simulacra and simulations scintillating the terrain without finding that balance of humanity in my life. I'm ready to explore the idea of deserving to be with someone who can understand me, love me, and care for me. I'm ready for a new chapter. If you want to know the address of my new blog, contact me. I will create it sometime in the next several weeks. Some believe that the wild west is a thing of history or folklore. This is not entirely the case. The wild west is an idea as strong as the oaks nestled into forgotten canyons along the deer tracks by the mountain run-offs. It lives on eternally in the hearts of men who have no master. It is in the eyes of every drink aimed at overtaking a drunk. The old Indian killers kept scalps for rewards, and ears as trophies. They raped and they pillaged. They killed tens of thousands of buffalo. They turned everything into a steamy wasteland of possibilities that should have never been explored. The frontier is still here. It is in the earth underneath my house. It is the dust settled on my television and bookshelves. It is in the air I breathe. A great withering sigh escapes from the frontier's remains. It is a nameless sigh, with the listless meaning of sighing for the sake of sighing. I have not yet seen riverboat gambling nor dredging for gold, only the old swampy quagmire left behind. Only the old gold teeth held in museums as a reminder that all bets must be paid in full. The wild west lives on, lurching under the pavement. The frontier extends yet further beyond the eye of any man or satellite imaging system. You cannot find it in the back channels of the extended cable package, nor in the independent film aisle in the movie store. It lives on as the itch behind your eye that would leave you blind were you to scratch it. I felt out of a tree once as a child, cutting a hole in my bare belly from a branch. The scar is faint now under a growth of hair indicating the changing of time. It is there though, plain as day, like a fraction of a memory. The wild west is a fiction, and it always has been. It is an over-active imagination for people who have had terrible childhoods. It still exists because we need it to. It holds branches at bay and turns the most pathetic of dives into exotic saloons and whorehouses. It turns desert into cinema. When Kool Moe Dee released his hit song "Wild Wild West" in 1988 about growing up on the wild side of downtown 129th Street, he knew this truth. Growing up in a movie is better than growing up in darkness. And years down the road when Will Smith came back to him for a remix with Dru Hill and Stevie Wonder for his new movie of the same name, there was no denying that truth. 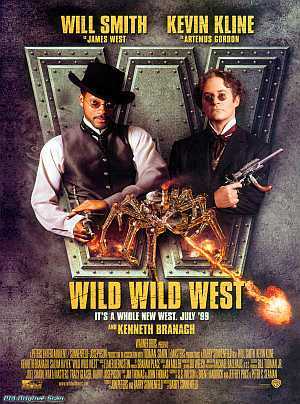 "Wild Wild West" turned out to be an awful movie, because it was too obviously what it was advertised. That is, empty spectacle. When performing the song at the 1999 MTV Movies Award show live on television to promote his movie and album, Will Smith gallantly took the stage in a purple suit on horseback to thunderous applause to the theme of "The Good, the Bad, and the Ugly." He burst through a simulated saloon door to the main stage. He started his rap with a cadre of dancers behind him in flashy clothing. He called Kool Moe Dee and Dru Hill with Sisqo out to the stage. Sisqo emerged from a platform with pyrotechnics belting the hook of the chorus. He jumped off the platform and they all danced in unison together demonstrating skill, dedication, and practice. Halfway through the song DJ Jazzy Jeff cut up the break to the repeated cry of "breakdown!" And in the last moments of the song, Stevie Wonder appeared suddenly on the stage playing a saloon-style solo to end the song. What you won't know by looking back at this history through the annals of the internet video collection, is that Stevie Wonder was left stranded on stage after the performance. Looking lost and confused and hopelessly blind, he eventually was helped off the stage so the awards show could continue. The was an unforgettable moment for me, that by far eclipsed the fanfare of the spectacle that took place on the stage moments before. There was a pierce through the veil. This was the one true moment. I tend to view the past with a sort of disdain for the ills that human history has inflicted upon the world. Exploitation being first and foremost on this list, followed by horrible amounts of death and destruction... but I've realized, in fact, that I have need to connect with history. To feel a sense of collective meaning that extends beyond knowing things, but feeling. There are impactful moments that continue to resonate with me. 1) Each time I listen to Gregorian chant albums I feel drawn back into a time-line that pulls me into my European ancestry. I feel the pull of the music against the stone walls and against the cathedral halls. I feel the weight of the religious words swirling around me, and I feel their holiness and their questioning somberness in an unexplainable world. Kyrie, eleison! Lord, have mercy on us. 2) Walking around in the city center of Braşov in the heart of Transylvania I felt the age of the buildings take over me as the scene took me in. The Biserica Neagră (Black Church) dominates the cityscape and you get drawn in by its simultaneous timelessness and deep, aged majesty. I did not wish to leave Braşov and I could have spent all day, and many days in the awed presence of that building with over 600 years of history surrounding it. and run your fingers through my hair. like the innermost Russian doll. as a sudden tempestuous squall. upon a full flickering flame. We are our own poetry. Carry words we may ingest? you speak to me in silence? These famous words from Terminator 2 ring in my ears tonight. Sarah Connor carved the words "No Fate" into a picnic table before deciding to destroy Skynet before its paradoxical growth to power can lead toward the nuclear annihilation of humanity and the subsequent enslavement of mankind. You see, the robots came from the future and the technology left in the past was the technology used to destroy them. How do you fight against the future when you know what the future will be? This is the metaphor for our existence. We aren't fighting against the future coming back to destroy us; we're fighting to exist in a world filled with infinite choices and no ultimate authority to make decisions for us. This is the sort of situation that Sartre describes as being your own God. This is not a point of arrogance or some sort of usurpation, this is a description of having to choose for yourself. Freedom, then, is an awareness of this responsibility of being able to choose. "Freedom" is revered as a sort of holy thing here in the United States, but I fear that many people don't understand it. I see many bumper stickers tell me that "freedom isn't free," which is correct... but for the wrong reasons. Most people that have these stickers talk about the sacrifice of the military and the use of force abroad to support freedom. This is not why "freedom isn't free" - it isn't free because of the responsibility one has toward freedom. I watched Manderlay last night. It is a film about a small community in the South that ignored the end of slavery and continued to have slaves grow cotton into the 1930s. Grace, the protagonist, arrived with her father into this community and decided to forcibly end slavery with her father's mobsters. She refused to allow the unjust share-cropping system to replace slavery which was effectively in place in other places in the South at this time in history. Instead, she gave the slaves the legal power over the plantation. As the story progressed, the effort of changing the social dynamic of the plantation proved impossible. The oppressed kept their oppressed mentality, and the more power given them, the more confused and uncomfortable the situation became. Finally, in a terrible moment, everything collapsed. Grace was asked unanimously by the freed slaves to run the plantation again as their owner. She learned shortly after this request that the slaves had previously chosen to renunciate their freedom for the security of a simple, structured life. Please become our beneficent dictator. By God. Horrifying. Choosing slavery. Grace wanted out of there immediately. She, who had "freed" the slaves was now imprisoned by the situation she created. Wilhelm, the old slave who advised her through this process kept saying "we're not ready." We're not ready. Understand that this is the key to everything. We're not ready. Who is ready for freedom? Truly. Freedom isn't free. A large portion of the population votes for authoritarian leaders because authoritarian leaders provide security. And many use religion to provide security from the unknown. Thinking and change make people feel insecure. Here's the problem: many people aren't up to their freedom. And too many others are more than willing to dictate what others should do with their freedom for them. This is a problem as old as time. The social contract theorists took this problem on. Hobbes noted the need for the consent of the public by suggesting a mandatory pledge of allegiance toward a unitary king. Locke took on these ideas, agreed that consent was needed, but liked the representative democratic approach. Machiavelli wrote two books about government. His book about democracy stated that democracy was the best form of government, but it required an engaged, informed citizenry to use their civic virtue to make it work. His other, and notably more famous book, talked about the inevitable need for a beneficent dictator in the absence of a working democracy. These philosophers following Hobbes realized that people needed to rise up to responsibly govern themselves, and all had their doubts that people could effectively do that. Power is a strange thing. Those who are oppressed have power over those who oppress them. George Orwell realized this when he had to deal with a rampaging elephant while stationed in Burma under British rule. He knew that the elephant did not need to be shot, but did it anyway because he felt the pressure of expectation from the crowd of the Burmese. Power dynamics make the oppressed and the oppressors act their roles, it is a psychological reality. Milgram's shock experiment demonstrated that people were willing to shock someone to death if someone with authority told them to even if they didn't want to. 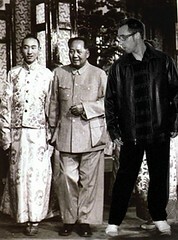 The United States has power of China because they've lent too much money to us. Christian non-profit groups that help in Africa need poor orphans to help to stay in business. Power and powerlessness become an identity - a role to live up to. But so much of it is generated artificially. There is no solution to those who want an authoritarian safety net. There is no solution to those who want to be an authoritarian safety net. These people exist and the rest of us have to learn how to exist with them. Clearly, it would be better if we embraced the paradoxical truth of time travel stories: choice is the central and only value in life. The abdication of choice, and the willingness to accept that abdication from a position of power are two paths that lead down the same road of self-nullification. The truly most remarkable people in history are those who pushed the boundaries are forced people out of their comfort zones from whichever side of power they resided in. Thoreau's letter from prison, Gandhi's march to the ocean to make salt, Martin Luther King Jr.'s march on... poverty (yes, poverty... not what you were expecting), Cindy Sheehan's vigil to ask Bush what cause her son died for, Tank Man in Tienanmen Square... and on and on and on. People's boundaries must be pushed, and it will never be enough... but we must never replace injustice with injustice. Manderlay makes this very clear, but historically we need look no further than the fallout of the Belgians leaving Rwanda and the genocide of the Tutsis that followed. We need to ask more of everyone, and it may never be enough. A sense of awe and wonderment. My life has that sprinkling of magic again that I've sorely needed for so long. And the material is mostly immaterial except in the case of proximity. Strange how little things like getting flipped off by a Native American in a random unexpected moment can be transformed into something life affirming and spectacular. For all of the negative things that I am dealing with now, I've had what many people have said is a surprisingly good attitude. In the last several years of my life, I have come to realize that everything truly is an opportunity. The end of a relationship is an opportunity for you to face yourself, your patterns, and resentments. The death of a loved one is an opportunity to honor that relationship and continue the legacy of that person's life with your own. The loss of a job in an opportunity to forge a new future and push toward new opportunties, and seeking new opportunities where you didn't know there were opportunities before. The loss of income and even possessions like a house is an opportuntity to change your lifestyle, to humble yourself, and seek help from others. Jean Paul-Sartre talked about how every situation offers choice which allows for the full expression of free will. He said this was limitless and gave the example of being in a concentrate camp to prove his point... even if you had no way of avoiding getting into the camp, once there you can react in a wide variety of ways, internally and externally. He lived through that, and it certainly made him stronger... for myself, I wish never to endure that kind of human suffering. Regardless of what I wish will or won't happen to me, my lack of control does not mean that life just happens to me. I am understanding now more than ever with my attitude that life is what you make of it. And there are so many opportunities, in fact, maybe more found in adversity than outside of it.